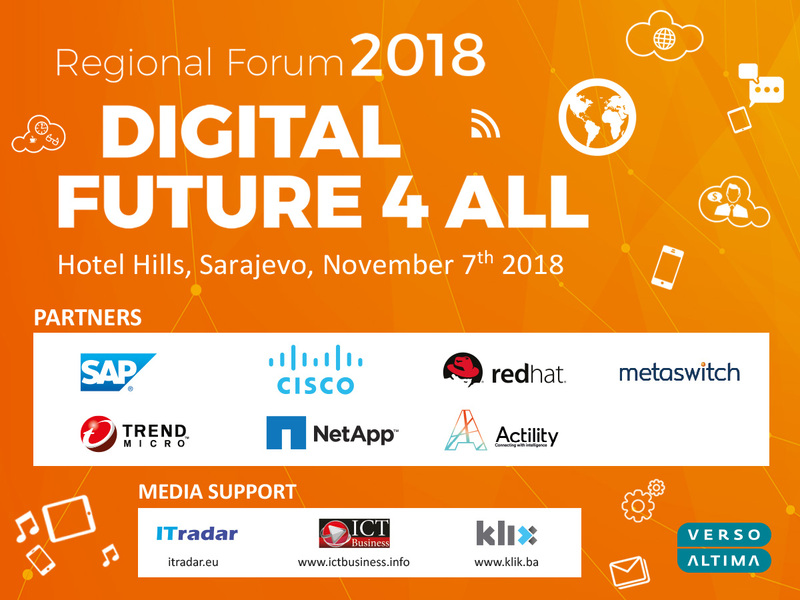 Verso Altima Group is organizing Verso Altima Regional Forum on November 7th, 2018 as one of the most important business and technology conferences in Bosnia and Herzegovina. After many years of successful organizations, Forum expands the platform of digital trends beyond borders. Encouraged by excellent responses, responsiveness and market needs, this year Forum becomes a Regional event that will bring together leading world ICT vendors to present the latest IT and business solutions and trends in the digital future. The Forum will bring together nearly 250 participants from all over Europe, with the anticipated 20 reputable lecturers. More info is available at Verso Altima Regional Forum.